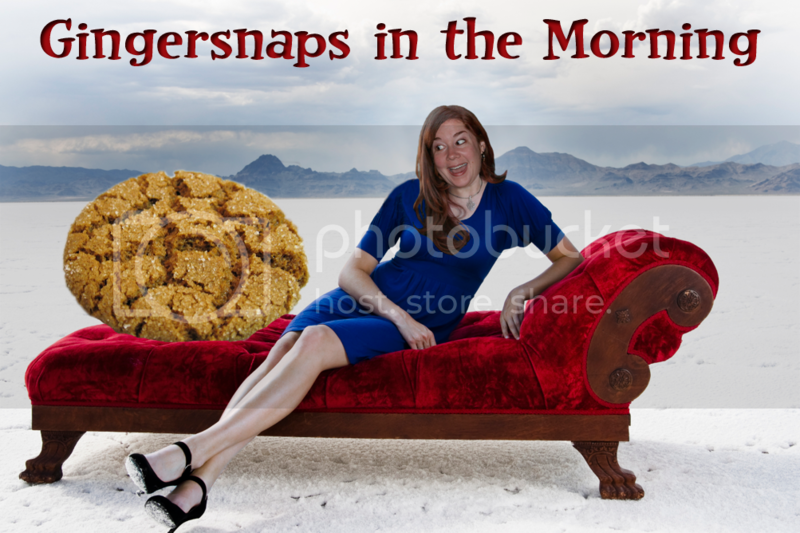 Malevolent Monday to you all, my gingersnaps. Did you miss me? Thank you for being so patient while I recovered from my recent pet loss. The family and I are doing much better now. Anything I missed while I was gone? While you're pondering that question, I'll move on to the news. 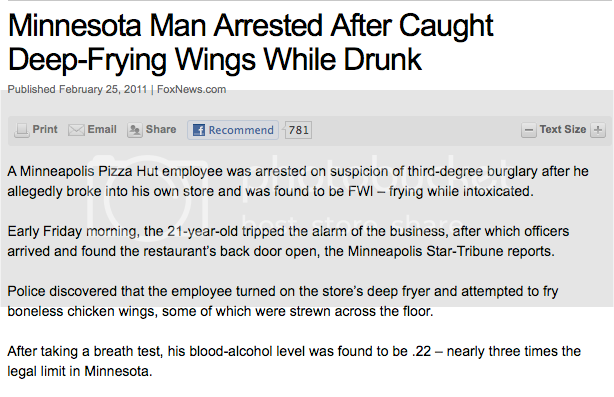 A Minnesota man, who was an employee at Pizza Hut apparently got drunk, decided he wanted some chicken wings, so he let himself into the restaurant after hours and attempted to fry some up himself. Of course he tripped the alarm while he let himself in. Something tells me he will need a new job now. Wonder if he can put "has ability to fry up chicken wings while intoxicated" on his resume. Congratulations to David and Victoria Beckham, who just revealed that they are in fact having a girl. I wonder if they realize female children bring drama of epic proportions to the family. 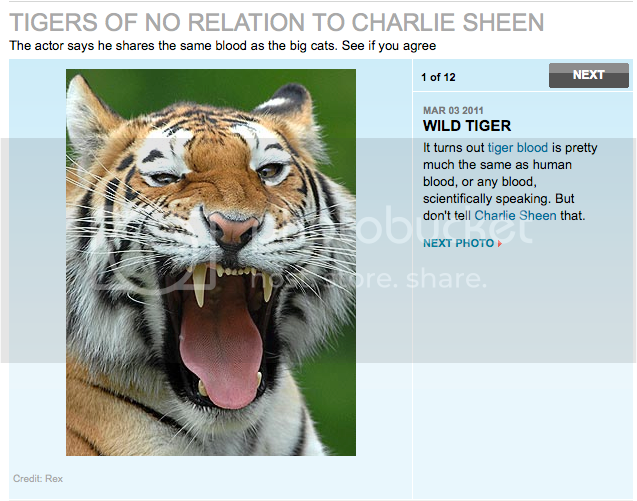 This just in... Charlie Sheen does not (I repeat) does NOT have Tiger blood. But he does have winning recipes, courtesy of Funny or Die. And now it's time for PARENT'S SHOULDN'T TEXT! I don't think this tattoo is winning. 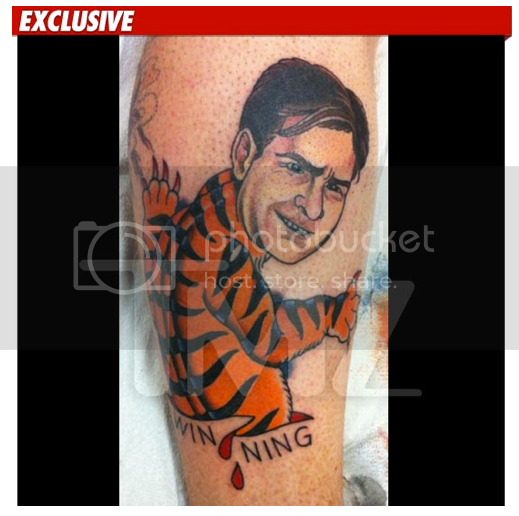 Does the guy realize this is as permanent as Charlie Sheen's psychosis? Maybe that's the point. I LOVE it when you talk to us like that! A BIT saucy, eh? and I love,love, love that we are "your" gingersnaps, almost like Gaga's little Monsters. You may be onto a new career here. Just think, you could work from home,set your own hours. Ned to start se you on the blog, like video, Not the whole thing, just the open and maybe a set up for a news item or two, and a strong close on a nice (purple, I imagine?) set. Cap! I had no idea you read my blog. Sweet! And thank you for the awesome feedback. 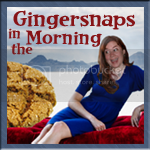 Never had anyone tell me what they thought of me calling them my little gingersnaps. So glad you love it. And I'll have to definitely consider that purple set with video greetings. ;) Your comment made my day! My husband and I were actually comparing Charlie Sheen tats that we had found last night! What are people thinking when they get these? Is it weird that I think tattoos should be meaningful? Am I the only one?! Also, this dolt missing a toe should have sang the damn song before getting his. The second toe is supposed to "stay home", the first one went to market. So glad your back. I missed you lots.. I have to appreciate the moxie of Minnesota Man. He wanted some wings, knew where to get some, and was going to make it happen! 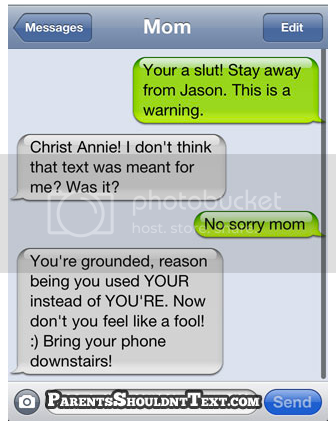 And I think that's an example of WHY parents should text-I love that the mom called her out for her grammar, not being hateful or threatening-ha! Oh Picksee77, Please tell me that song will eventually leave my head. I had no idea Friday was so song-inspiring! LMAO!! Thank you guys for missing me! I missed you guys too! LOL ChristineMarie for pointing out the wrong piggy went to market! !